CraftWorks Restaurants & Breweries, Inc.’s Vice President of Training and Development Regan Arntzen talks about food safety, food prep and quality control at the largest craft brewery restaurant operator in the country. 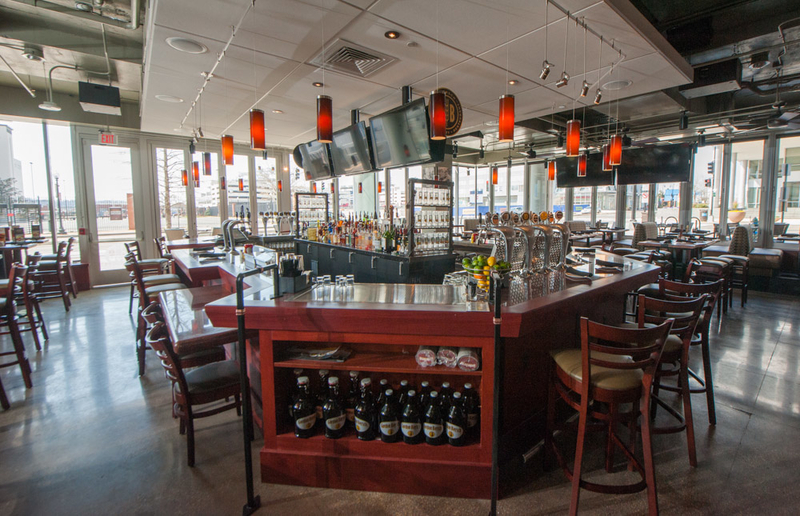 There are 200 franchised and company-owned restaurants primarily operating under the Old Chicago Pizza & Taproom, Gordon Biersch Brewery Restaurants and Rock Bottom Restaurants & Breweries brands. CraftWorks also operates ChopHouse and Big River and employs more than 12,000 people throughout the nation. How important is the issue of food safety? It goes without saying that this is a very important issue. We certainly want to drive sales, grow restaurants, improve profits and hire and train the best people, but as witnessed in very recent events, all that can be jeopardized by an isolated incident. We also feel a real responsibility to our guests to provide a high quality and safe product. They need to trust us and we do not take the responsibility lightly. What practices are in place to ensure food safety and quality? Each day an “on hand” inventory of all prepped food is completed. During this process all dates of prep items are checked and all out of date items are thrown away. A comprehensive building inspection is completed prior to opening each day. As you can imagine a large number of items are checked-quality of closing work, maintenance issues, but paramount is checking for correct level of cleanliness in production and service areas and when discrepancies are found they are corrected prior to opening. Comprehensive kitchen line checks are completed each day for all items to be served. (These include the checking of prep dates, verifying the quality, ensuring adequate stock level and temperature checks.) Additionally, while completing the line check managers are required that all sanitation and safety items are in place and at proper dilution. All of our tables are cleaned and sanitized before we seat a guest. What is typical prep work each day? All of our brands take pride in producing fresh in-house items whether it be making pizza dough from scratch or cutting steaks. All prep recipes and plate presentation guides include key sanitation and safety items to be aware of and to follow. Management constantly monitors to ensure cutting boards and knives are sanitized and any “ready-to-eat” items are handled with gloved hands. What kind of food safety training do back of house and front of house staff undergo? All initial employee and management training includes robust training of key sanitation and safety guidelines. All managers of our restaurants are required to successfully complete Servsafe Manager Course provided by the National Restaurant Association. Additionally, we track all completions and ensure all managers are recertified as proscribed by the NRA. As we roll out new menus and “Limited Time Offers” we take those opportunities to highlight an aspect of food safety. We also do a corporate monthly newsletter that emphasizes key aspects of safety and sanitation. And how does it differ or is fit to match each job? There is general level of knowledge all employees need to know and abide by. There is a higher level of training and monitoring of people who are directly prepping and cooking our food products. Is the training ongoing to instill the best practices in staff? Unquestionably yes. We are very cognizant if we do not lead and make it top of mind on a daily basis it can become less of a priority and we are vigilant not to let that occur. When you dine out, what do you look for in a restaurant regarding quality and cleanliness and have you ever walked out of a place because your expectations were not met? Most times I bring discrepancies in these areas to the attention of a manager on duty and afford the establishment an opportunity to remedy. If I visit again and am confronted with the same issues I will not return. What are things you do that you would like to see modeled in other restaurants? I think the level of management training and daily awareness our managers display would be a positive model for all restaurants to replicate. The inclusion of validating sanitation items and chemical strength during daily line checks certainly raises the awareness of standards. The training we give our front of house staff regarding personal hygiene and teaching them the difference between “clean” and “sanitized” is very important.